Anyone who has a car in Russia can be a potential taxi driver. These private cars have formed the basis for a system known as paid hitch-hiking. They are cheaper and very popular among Russians because they cost half as much as regular licensed taxis. Along with these freelancer taxi drivers, you can also find several new registered taxi companies that have lowered their prices, improved the vehicles and established fixed prices based on distance. However, despite the birth of the new, well run companies, that offer reasonable prices and a good service, the overall taxi system in St Petersburg like the rest of Russia, is still not as efficient as in Europe. Consequently the full price is accurately stated! So when taking a taxi in St Petersburg Russia, don't have high expectations! Also, don't get into the wrong taxi. The official Russian taxis are not the only ones that run in the city, but there are also some illegal taxis known as the taxi mafia, that are not recommended. Update: Due to the current economic recession and the fail of the ruble, now in St. Petersburg as in any other Russian cities the prices for almost any kind of services or goods are low. Good news for you! But as the prices go down the quality will change too, mostly for the services. Our advice is to pay attention to what you get for the price you pay. Looking for taxis in St Petersburg? Wondering which one to choose? If so, follow our tips, and listen to your gut instinct. Since most of the Russian public transportation in St Petersburg stops functioning at night, you will surely need to get a taxi if you want to go back to your hotel or if you arrive late at night at the new Pulkovo airport. Usually most tourists prefer to use taxis only to get from the airport to the city and then go back. Once they are in the city, many get around by foot or take the metro, which in our opinion is the best option for short distances. That said, if you need to take a taxi once you're in the imperial city, you can find them in the city center, near any metro station and outside most major clubs and restaurants. Some of these taxis in St Petersburg will be private, others will be official. But, they all will work around the clock and bring you safely to your final destination. Of course it won't be as cheap as the metro, buses or a marshrutka, but it will definitely be more comfortable and convenient. However, be aware that some official taxi drivers may try to take all your money to drive you to your hotel or to/from St Petersburg airport. As you can imagine, tourists and travelers are always targeted. So the best practice would be to phone a legitimate taxi company (not all companies have English speaking operators) where you will be quoted an approximate price for your journey. So there will be no bad surprises and you will get a fair price! Alternatively, if you stop random Russian taxis on the street, then you should ask beforehand how much you will be charged and possibly bargain with the taxi drivers as much as you can. Bear in mind that not all Russian drivers speak English, and those who do, may only speak very little and not fluently. Wondering how much it will cost to take a taxi in St Petersburg, Russia? When getting a taxi you will notice that most of the taxis in St Petersburg are relatively cheap during the day and more expensive at night. An accurate fare ride would be a hard task to estimate because all taxi companies in the city have their own prices. However, recently we did a little investigation by calling some of these reputable taxi companies in the city to compare their prices, and so we have an idea. The minimum average fare for a ride (up to five km) starts from 300 rubles (€4.00/$5.00) and can be up to 400 rubles (€5.00/$6.00 cents). Also, for each further km you will pay an extra fare that can be roughly from 40 rubles (€0.55/$0.60) to 60 rubles (€0.95/$1.00). Please take these figures as an approximation. Usually all taxis in St Petersburg should have a taximeter or a taxi sign, but unfortunately this is not always the case. So, it might happen accidentally that you take an unauthorized taxi or a random Russian car on the street. But if that happens, don't worry! They will just bring you to your final destination and may overcharge you without hurting you. But if you do not pay or complain about the price, then yes... you may get into some serious problems. 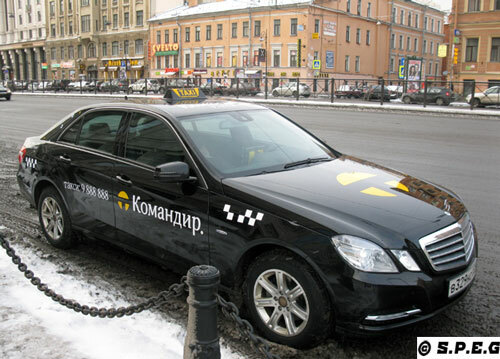 Remember that some of the taxi drivers waiting outside St Petersburg airport, train stations or bus terminals, or those waiting on the streets inside their cars might be illegitimate taxis, especially those who ask you if you need a taxi. 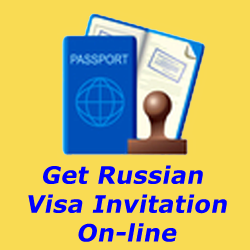 Since you will most probably not speak Russian, you will be easily noticed as a foreigner and the bargain will start from a high price, often double the normal fare. Therefore, when looking for taxis in St Petersburg on the street, you should always negotiate the taxi fare and check the car condition, both if you take a private taxi or an official one by yourself. It would be the opposite if you've made a reservation before with your hotel or someone else. In this case all will be fine because you will know the price earlier and the driver won't try to rip you off. It could be a really funny and unique experience, but you should take precautions! Flagging down a random car and paying for a ride is perfectly normal for Russians. That's why every private vehicle is a potential taxi. After midnight, when the metro stops running, these freelance taxis become a major St Petersburg transportation option for many locals because they are cheap. However, for visitors like you travelling in an unmarked car may seem unsafe, and so, it is advisable to take care. Basically, you should pay attention to whom you get in with, don't wave your hand to a car with more than one man inside, or to a car with black windows. If a car you don't like stops for you, kindly ignore it or nod a 'no' with the head saying ("Spasibo" - Thank you) and step back. That said, if you really want to experience a ride with the old Russian car "Lada", then, you must follow a certain protocol. Stand by a main road and stick out your arm - palm down. Always agree a price beforehand, asking in Russian language ("Skolko" - How much? ), and then, if you agree with the price get in. The morning is usually the safest time of the day to flag down one of these cars as drivers are often people going to work. But if you decide to try this at night, make sure you get in the car with a friend or it will be at your own risk! Are you thinking of taking a taxi upon your arrival? When you take a taxi outside the small Pulkovo airport or you choose to go randomly with someone who just offered you a ride, you should be aware that these kind of taxi drivers "We call them mafia taxi drivers because they are illegal" may ask something like 3000/4000 rubles (€40/€50-$50/$60) or even more to take you downtown. It would be the same price if you go to the airport with a random taxi. So, when taking random taxis in St Petersburg you should always agree on the price first. For your information, located inside the arrival area of the terminal, you'll find an official taxi desk where you can book your taxi. Here, they will inform you about the exact fixed price of your trip and they will book a taxi out of the list of their official carriers. Also, they will provide you with an invoice that you will have to pay to the taxi driver at the end of the journey. That said, a simple fair price (with a standard car) from Pulkovo airport to the city center should be no more than 1200 rubles (€17/$19). However, take into account that this price does not include any extra services, such as parking cost, pre-booking, meeting with the driver at the airport/hotel with a name board, assistance and/or waiting for you if the flight is delayed, English speaking back up, etc. As you can understand these additional services, usually offered only by legal private taxi companies, make the final price rise a little, something from 1400 to 1800 rubles (€20-€25/$23-$29), depending on the taxi company that you choose. If it is not rush hour the estimated travel time to get from the airport to the city or the other way around is 30 minutes. Need a taxi in St Petersburg, Russia? If so, stop looking now and book a taxi before your arrival with us. Finding an affordable taxi in St Petersburg is easy, but to find a reliable and efficient one can be frustrating for many reasons. But now with our help, it can be easy, stress free and not very expensive. 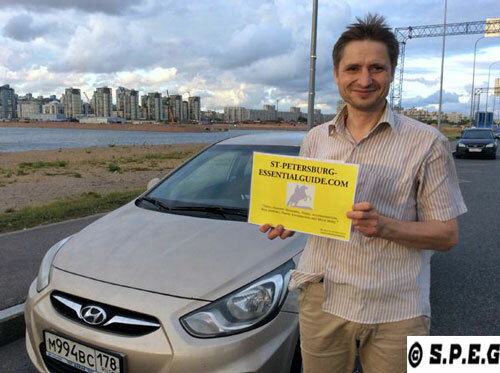 Book one of our Taxis in St Petersburg, and meet with Viktor. We, Davide and Anastasia, can provide you with the most reliable taxi at a fair price for anytime, anywhere and any distance with a professional driver. 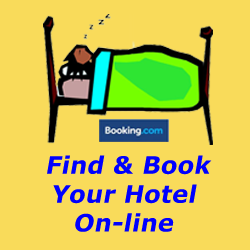 When you book with us, you are sure to pay a flat rate. 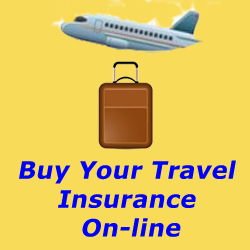 No charge for your suitcases and no additional fee if the plane is late. And best of all, you're sure to have our English back up. Upon your arrival, our driver will meet you at the airport and assist you with your luggage or anything you need. A comfortable air-conditioned car or minivan will take you to your accommodation and bring you back to the airport at the end of your Russian vacation (A discount of 5% is also offered if you book a round-trip). Surely this is a much more enjoyable way of getting to the city from the airport than traveling on a congested metro or bus or taking a cheap regular car taxi with no additional services or no English speaking support. Want to know how much we charge and/or what we offers? If so check our St Petersburg Transfer Services page! Anytime you take a taxi by yourself anywhere in the city always pay attention to the taxi that you choose. When stopping or taking a taxi on the street, before you get in make sure you check if the car has any legitimate taxi sign or taximeter (this will give you a sort of indication if the taxi is an official one or not). Since the increase of legal taxis in St Petersburg, plus the recession that has lowered the prices for these licensed Russian taxis, the incentive needed to get amateur taxis to take passengers increased somewhat. So you won't find such a big difference in price between paid hitchhiking and taxis. The only way to pay normal rates is to speak Russian. So when possible, try to ask your hotel, bar, restaurant or beg someone near you to call for a taxi. If you wish to take a taxi by yourself, we suggest that you look for the following reputable taxi companies: Taxi 068, Silver Spring, New Yellow Taxi, Taxi 777 or much better, Book with us. From Taxis in St Petersburg return to Travel in St Petersburg or go to the Homepage.